Eleanore Hunter passed away peacefully at home after a brief illness on March 25 with her faithful canine companion, Honey, by her side. Ellie grew up in Ithaca New York and was the daughter of William and Margaret Gredel who immigrated to New York City from Switzerland. Henry later became the president of the Ithaca Savings Bank and made their home on Ithaca Road. She loved Ithaca and enjoyed telling those she met of swimming across Cayuga Lake as a young girl. It was on the day she arrived at Potsdam that a handsome Clarkson boy asked her to go for coffee. That night over a beer their story began. Ellie had a full life with her husband Malcolm. They built houses together for their business (Hunter Homes) and enjoyed many trips and adventures along the way that included flea markets, antiquing, motor home trips, and vacations to the Virgin Islands and Europe! After obtaining her teaching degree from Potsdam, Ellie enjoyed teaching second grade. She took time to raise their three children and later found a love of teaching special needs children at our local BOCES. 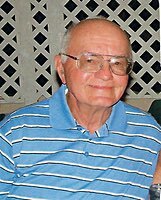 Benedetto Pasquale Muggeo, 82, of Lansing, NY died unexpectedly at Robert Packer Hospital on March 25, 2017. Born on November 28, 1934 in Endwell, NY to the late Pasquale and Rosa Muggeo, he is survived by his wife of 52 years, Maureen; their daughters Lisa (Tom) Feldman of Dunkirk, Maryland; Karen (Victor) Startsman of Rockville, Maryland; Diane (Charles) Mann of Endicott, New York; Carla (Kevin) Trolaro of Metuchen, New Jersey; six grandchildren, Sydney and Michael Feldman, Nathan and Benjamin Mann, and Nicole and Kylie Trolaro; sisters Lena Catalano and Delores Larque; and many nieces and nephews. Ben attended the University of Miami and graduated from Broome Community College. While raising his four daughters he achieved his career goal of earning a Professional Engineering Certification. He worked as a heating, ventilating, and air-conditioning professional engineer for General Electric, Cornell University, and several consulting engineering firms, including IBM and Dupont, until he retired in 2002. 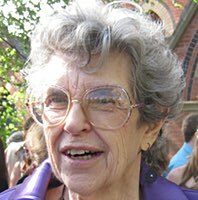 Janet Irene Morse Dean of Lansing, NY, died peacefully on January 26, 2017, at the Cayuga Medical Center, Ithaca, NY, comforted by her four children and daughter-in-law, following a brief illness. She was 92 years old. Born August 10, 1924, in Freeville, NY, Janet lived most of her life in Ithaca and never lost her love for the Finger Lakes. Adopted by Helen (Lincoln) and Carl Morse at the age of six months, she spent a joyful youth on South Hill. Helen and Carl subsequently adopted her younger brother George as well. Mary Gridley Allaben remained a life-long South Hill friend. Janet’s mom married Irving King following the death of her first husband. Janet regaled her children with stories of many happy family summers during her childhood on Owasco Lake, NY and Lake Massasecum, NH. Alice Virginia "Ginny" Lobdell King died peacefully on September 22, 2016 in Tempe, AZ at the age of 79 after a long battle with osteoporosis. Born March 9, 1937 in Ithaca, NY to Warren and Alice Lobdell, Ginny graduated from Ithaca High School. She married William "Bill" King in 1956. They celebrated their 60th wedding anniversary in March. After raising her 2 daughters, Ginny worked at the Cornell Noyes Center Mailroom for over 10 years. Kevin Thomas Dunn, 34, died at home Friday, November 11, 2016. 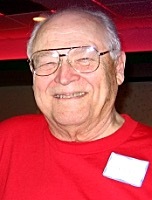 He was the beloved husband of Amara R. (Camp) Dunn, and the beloved son of John and Wanda Dunn of Seville, OH. For the past 17 years, Kevin worked and served in various positions at Casowasco Camp and Retreat Center, most recently as Assistant Director. He also worked and served at the Lansing United Methodist Church from 2006 through 2011 as the Youth Ministries Coordinator. Kevin loved people, especially youth, and always sought to use his skills and resources to help others reach their full potential. James P. Colt, of Lansing, NY, passed away peacefully on September 23, 2016 at the age of 90. Jim, son of the late Leo and Lillian Colt, was born on July 20, 1926 in Olean, NY. Jim graduated from Olean High School and proudly served his country in the US Navy. Upon being honorably discharged, he entered NYS Teachers College at Buffalo and received a degree in education. He was a member of Kappa Delta Pi, Epsilon PI TAU, Inc., and Sigma Tau Gamma. 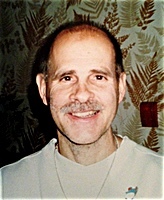 Jim continued his advanced degree at Cornell University and Syracuse University. He taught Industrial Arts at Lansing High School and later became the High School Guidance Counselor for the District, retiring in 1983. He helped hundreds of students choose their career paths. Adam Robert Heck, 42, passed away on August 27, 2016. He was born on June 10, 1974, to Richard Charles Heck and Nancy Jean Heck (Crowe) in Norwich, New York. Adam was a graduate of Hamilton High School, and Ithaca College. 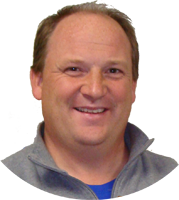 Adam was entering his 21st year as head coach for the Varsity Boys Soccer Team at Lansing Central School District, and became the Athletic Director and Dean of Students. Adam was highly involved in the school and community, and had a love of teaching and engaging kids at all levels. Adam had a great love for walking miles on the wide open stream and finding that perfect fish on the end of his pole. He created and shared many fond memories with his family, friends and daughters on the streams, some of which will never be forgotten and always live on. Reg "Porkie" Andrews, 58, passed away at home on Wednesday, August 17, 2016, two weeks after being diagnosed with lung cancer. Porkie graduated from Lansing Central School in 1976. His joy in life was fishing, hunting and hanging with his buddies. Reg is survived by his parents Paul and Clara Andrews, siblings Stephanie, Jeff, Tom, Bryan and Paula, and their families. He is also survived by his long-time companion Susan Bard and her children Jeremy, Adam and granddaughter Anna. Porkie has left his infectious smile, laugh and his love for the outdoors with many; he will be deeply missed. Katharine C. "Kate" Payne, 87 of Lansing, passed away August 10, 2016. Born in Towanda, PA on October 11, 1928, Kate was the daughter of the late Lawrence H. and Victoria (Jonas) Conlon, Sr. A graduate of Waverly High School, Kate attended Keystone College where she earned her Associates degree in Medical Secretarial Science and met her future husband, Thomas G. Payne. She then went on to earn her Bachelors of Science degree from Iowa State University in 1951. In 1950 Kate and Tom were married and spent their summer in Ithaca, NY, which ultimately led them to the decision of settling in this area. 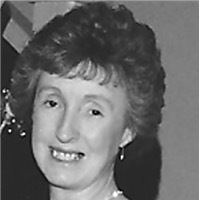 Kate valued her career as an elementary teacher with the Groton School District where she retired from in 1984. 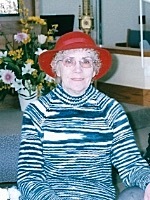 An active member of the Lansing United Methodist Church, Kate also enjoyed the role of church historian for many years, she was a member of the Haiti Committee and played in the Ithaca Concert Band. Dorothea Josephine Hautaniemi, 93, of Lansing, New York passed away at home surrounded by family members on Thursday, May 12, 2016. Dorothea was born in Boston, MA on December 13, 1922, daughter of the late Joseph and Irene (O’Brien) Quinn. She is predeceased by her parents and her husband B. Wendell; siblings Mary Josephine, Thomas, Nancy, Joseph, Irene, Jack; in-laws Katherine, Henry, Norma, Walter, Katherine; and her grandson Peter. Dorothea is survived by her sister Celia Tolan, her children Wendell (Shirley), Wendla (Paul) Windt, Jeanne Rossi, Richard, Claudia Gail Hunter, Brian (Cindy), Susan (James) Leonard, Ann Marie; her grandchildren Emily, Kristina, Matthew, Robert, Michelle, Danielle, Conor, Max, Rhiannon, Maureen, Dennis, Jill, Amanda, Tyler; her great-grandchildren James, Spencer, Tara, Morgan, Amelia, Miles, Teija, and Calvin; and numerous nieces and nephews and their families. Marion M. Bickal of Lansing entered into eternal rest on Sunday, May 15th surrounded by her family after a long battle with alzheimers. Marion was predeceased by her husband, George. 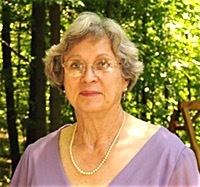 She is survived by her sister, Shirley Palmer; her sons, David (Cathy), Charles (Christine); six grandchildren; six great grandchildren; nieces, nephews, and her best friend, Betty Cook. 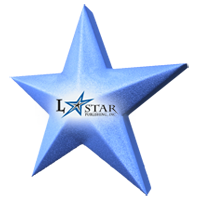 David E. McDougal, age 72 of Lansing, passed away from leukemia on May 20, 2016. Born January 28, 1944 in Buffalo, he was the son of the late Clarence and Lillian (Barnett) McDougal. David was a graduate of Lansing High School and prior to retirement, had been employed as a machinist with Therm Inc. in Ithaca. Mary Quick Flinn, of Ridge Road, Lansing, passed away Monday (May 2, 2016) surrounded by her family. Born April 24, 1938 in White Plains, NY to Almon D. and Mary Pabor Quick, she was a local horse breeder for many years with Clydesdales as her passion on her farm, Starlane Farms, and later with Shetland ponies as a breeder for Personal Ponies, Ltd. She also enjoyed many creative activities like quilting and weaving, had beautiful flower gardens around her home, was devoted to her cats, and was a world traveler with a special love of the British Isles. Eleanor R. Ruzicka, 85 passed away with family and her faithful dog Annie by her side at her home in Lansing on March 14, 2016. Born November 5, 1930 in Lansing. She was the daughter of the late Dana and Ruth (Townley) Ludlow. Eleanor was married to Leland J. Ruzicka in 1951, and she and Lee enjoyed over 60 years of marriage before he passed away in 2011. In addition to her parents and husband, Eleanor was preceded in death by her sister, Evelyn Countryman in 2012. Eleanor lived a full life next to her family working, maintaining and enjoying the property. "Still waters run Deep", and this was Mom. She passed on her love of family, music, dance, nature, animals, and a strong work ethic to us. Nascar (88), soaking in the sun, boating, Harley's, shopping for and restoring antiques and day trips with family were some of Eleanor's favorite things. She will never know how beautiful and strong she was inside and out. And if you told her, she would say, "Yeah Right"! This never became more apparent than when her husband Lee was seriously hurt on the job and she kept the family unit and property going while still working at Cornell University where she finished her 25 year career. Mark Oliver Holden passed away after a short illness on January 31, 2016, with family at his side. Mark held a special place in his family and brought much love, laughter and joy. He loved animals, bowling, dancing at the Haunt, traveling to new places, and was excited to be a volunteer at the SPCA. Mark loved being part of any practical joke and could never keep any secret. Anyone he met became one of his buddies, and if you were ever lucky enough to meet him, you knew he never met a stranger, but made new friends everywhere he went. 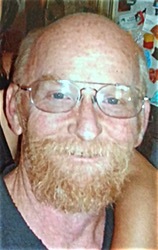 Roy Howard Cochran Sr. (Roy) passed away Sunday, January 17, surrounded by family near his winter home in Ocala, FL, at age 73. Born and raised in Lansing, NY, Roy was well known and loved by many in both Lansing and Ocala. He retired from Tompkins County Community Hospital and loved spoiling his grandchildren in his free time. He was always tinkering and creating and never hesitated to help a friend (or stranger). Anything you needed, whether it be advice or a part for a project, you could find in Roy's garage. Roy is survived by Gloria, the love of his life and wife of over 54 years, children Laurie (Karl), Roy Jr., Ron, and Lisa (Pete), brother Allen (Betty), sister Carolyn (Addy), uncle Dana (Helen) and numerous grandchildren. Roy was also like a second father to many and will be missed dearly. He is preceded in death by his parents Roy and Lorena, brother Bob Drake, "adopted" son Tim Tierney, infant grandson David, good friend Nick George, and fiercely loyal dog Goldie. Gertrude M. Hradisky passed away at home on September 12, 2015, at the age of 73. Born January 30, 1942 in Corning, she was a daughter of the late Hugh Mapes and Ila Elliott Mapes Quick. Gertie was married to Joseph P. Hradisky on March 15, 1959, and together, raised their family of four children at their home near Myers Park in Lansing. Gertie was a devoted wife and mother, she loved to knit and watch the abundance of wildlife that surrounded her home near the lake. She enjoyed the music in the park during the summer months, and always looked forward to any holiday or event that brought her family together. In addition to her parents, Gertie was preceded in death by her beloved husband of 54 years, Joseph P. Hradisky and her sister, Diane Quick. Colleen M. Homan – February 1, 1953 – August 2, 2015. Colleen passed suddenly at home with her loyal dog, Reba, at her side. 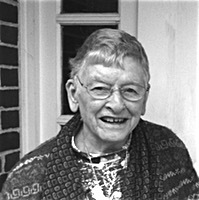 Having made Tompkins County her home, she was well-known by many of its residents for her wit, wisdom, and the frank manner that she would "call a spade a spade". As an adult she became very well respected for her work ethic and the meticulous manner she performed her job, leading to the position of Office Coordinator at the Johnson Parker Center for Investment Research working under Lakshmi and Sanjeev Bhojraj. Colleen joined the Parker Center in 2004, after six years in other areas of Johnson. Previously, she worked with the school's Entrepreneurship faculty and BR Ventures (the student-managed venture capital fund) and as the school's graduate field assistant for doctoral candidates. She came to Johnson with prior experience in the Cornell University Controller's office and in the Human Resources department of a private firm in Ithaca. In addition to her employment at Cornell University, Colleen also worked for the New York State Parks Office. Grey Theodore Larison was born on May 30, 1925, in Elmira Heights, NY, the first born son of Ted and Louise Larison. He died on April 10, 2015, at Hospicare in Ithaca, New York. He was named after his maternal grandfather, Grey LeValley, thus beginning the habit of naming the oldest boy child in each family or generation with the same first name. Grey's middle name is taken from his father's. The next in line was Grey Richard, born to Grey T. and Virginia November 1946. Next was Grey William, born to Grey Richard and Jan in 1975. The most recent was Grey Michael, born 2011, to Grey William and Amie. One of the most successful photo shoots ever was one in which Grey was on the other side of the lens. "The Four Greys" gathered in Detroit in August, 2013, and posed for cameras operated by wives. His earliest memories, from about the time he was learning to walk and talk, were of his maternal grandmother, Ethel LeValley, introducing him to the natural world around Elmira. She and his Grandfather Grey LeValley continued tutoring him throughout their lives.